Tyson was meticulous, with great work. He was prompt and always pleasant. Thank you Tyson. Expert service on a challenging job! Alex Z was my tech today and did a very thorough and professional job. 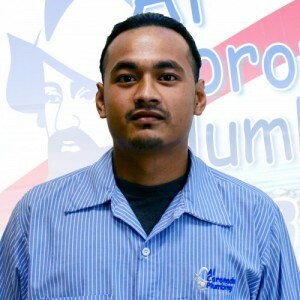 I will be asking for him by name the next time I need any service from Al Coronado Plumbing. Joe was amazing! When we had our hot water go out in January, Joe got us taken care of the same day: and on a Saturday. Can’t recommend these guys enough. Thanks Joe! 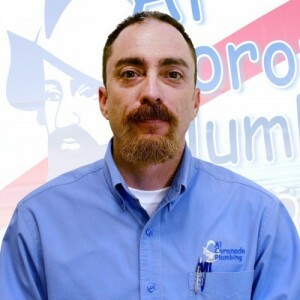 Al Coronado Plumbing Company did a small repair of a single threaded pipe joint for me. Although I thought it was rather pricey, the work was Great! Joe provided an excellent service. Very knowledgeable. Great personality. FIVE STAR! Knowledgeable, personable, and great worker. Spent most of the day solving our problem. Wouldn't move to his next appointment until it was resolved. Did the extra; great employee. Joe did a great job in a short time. Joseph was a well respectful person. Treated our place of residence as if it was his own house and got the necessary repairs completed rather quickly. Thanks to Joseph we now have running water without having to worry about our kitchen or hallway flooding. Excellent customer service, ver6 thorough. Both informative and attentive, Alvy went above and beyond to assure what we had requested was in fact done. Friendly, professional, dedicated, and, obviously proficient, Alvy really did a nice job for us. Thank you!